National Guard Mobilized in 3 US States . We support the Texas Army National Guard 100% and we are sure that they will complete their mission with honor and effectiveness. However, what’s the point of them being there? The children coming across the border are not trying to evade capture, they are trying to be captured. Governor Rick Perry is using this wildy popular stance to make a political statement at the cost of $1.3 MILLION per WEEK. Should the Texas National Guard be at the border? If they are stopping illegal immigration, we are all for it, but if all they are doing is being taken away from their homes and families to boost Rick Perry’s political capital, I say send em back home! Do you think they should be there? Tell us in the comments! Oregon’s Governor John Kitzhaber followed Washington State in declaring an emergency Wednesday night to bring in the National Guard to battle 13 wildfires, many of which are raging through the central part of the state. Are in the national guard, want to send a guardsman a gift or need shirts for you air or army national guard unit? Check out the awesome VSW National Guard Battle Rattle custom t-Shirt design. Just click here to customize your own. Update the Image in REAL TIME and make it unique to you! We will custom print each shirt and ship them straight out of our print shop in Texas. The creation of US Navy Rank and Rate designs have been requested for years and their popularity has not diminished for those that wear, have worn or will wear the uniform of the United States Navy. Our soldiers and sailors deserve the best and at Vision Strike Wear, we have the most popular Navy Rank and Rate Design in the USA. Made in the USA! The development of a design for the US Navy ranks and rates has been requested by thousands of active duty, retired and veterans of the US Navy and we have responded by producing not just a single design, but literally hundreds of US navy rank and rate designs. These are then customized for each sailor’s specific needs and printed on t-shirts, hoodies, tank tops, coffee mugs, posters, decals and even flip top lighters. Referred to as “Battle Rattle,” the US Navy rate and rank design quite literally can be altered in real-time. 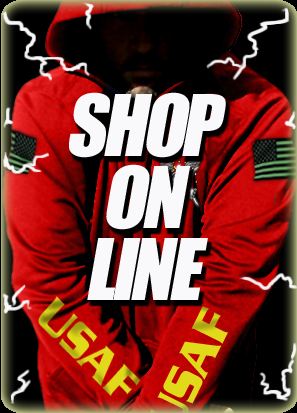 This unique approach to military design and apparel is exclusively found at Vision-Strike-Wear.Com. From Aviation Boatswain’s Mate to Yeoman, from E-4 to E-9, and options like gold or red chevrons are all available. Custom text can be added so a ship, name, anniversary, special event or other important details can be added to your design. Try it out now at Vision Strike Wear Navy Rank and Rate Shirts. Vision-Strike-Wear has your back with custom military designs for units, ships, squadrons, associations and commands. Wear the Military Gets Cover! Heart Of America Military Shirt Released at Vision-Strike-Wear.Com! Where does your military heart lie? In your heart you have been passionate about America. You have taken an oath, raised your right hand, sworn to defend this country against all enemies both foreign and domestic. You have defended the birthright that all Americans share: Freedom! Whether you have worn the uniform of an Army soldier, a US Navy sailor, Air Force airman, Marine, or United States Coast Guardsmen, you have been part of a brotherhood and sisterhood of American warriors whose honor and traditions date back to the founding of our country. When we ask the question what lies in your heart it signifies your dedication, trust and connection to what is most important to your time in the service both past and present. Weakness Will Not Be in My Heart! Never Will I Let Them Down And I Will Never Leave An Enemy Behind! I will conquer what has not been conquered! Defeat Will Not Be In My Creed! I will believe what others have doubted! Push the Pedal Through the Floor! Click here to get your own Heart of America T-Shirt or Hoodie! USCG Veteran Design by Vision Strike Wear. VSW Honors The United States Coast Guard and for many years Vision-Strike-Wear.Com has been proud to be a licensed and authorized custom designer for the US Coast Guard and has supplied units, MSST Teams, Coast Guard Stations from coast to coast, US Coast Locations referred to as the Crystal Coast, The Graveyard of The Atlantic to Cape Disappointment, training facilities for rescue swimmers to MLB rough water training, designed rates and ranks for our men and women in uniform and those having served in prior service capacities. Vision-Strike-Wear.Com has designed Kodiak Bears, Blue Crabs, USCG Racing Stripes, Motor Life Boats, paddles and USCG Cutters, skulls, designs for active duty and United States Coast Guard Auxiliary, Harbor Masters, Jay Hawk Crews, USCG Deck Apes, EOD, K-9 Teams and much more. The relationship The US Coast Guard has had with the custom USCG shirt design team of Vision-Strike-Wear.Com has been an honor for VSW and through this relationship it has spawned countless designs that are worn with pride by the United States Coast Guard personnel. What Are the Missions and Roles of the US Coast Guard? There are 11 key and critical missions that the USCG carries out everyday. As referenced on the USCG.Mil website they include: By law, the Coast Guard has 11 missions and VSW has had the pleasure to create designs for several of these important mission types. [Tweet “VSW honors the #US Coast Guard (#USCG) with custom unit designs.”] A small but highly viable force! So while the United States Coast Guard has the smallest force during peaceful times or during times of war there is a vital force of highly trained and focused men and women with very specific roles. As the smallest force they are still responsible for more geographical areas than one can image from all coast lines of America to the ports and waterways across this great nation. A Kodiak Mascot For The United States! For decades the USCG has adopted traditionally a dog for its mascot. Seen at a variety of USCG Air Stations, at graduation from the Coast Guard Academy, kept shore crews company or were seen chasing around a US Coast Guard cutter. The USCG had had a long tradition of keeping a mascot and in more recent years has come to accept the strength and overall powerful presence of a Kodiak bear. At several units request the Kodiak Club design created by Vision-Strike-Wear.Com has been seen worn and displayed by a variety of USCG personnel and it has been VSW’s honor to have been called upon to create the Kodiak Klub design in keeping with the USCG traditions. For more information about the history of US Coast Guard mascots please click USCG Mascots! A salute to the ranks of the United States Coast Guard! Like the other military branches of the United States, the United States Coast Guard has its own rank structure that makes it unique and creates the same level of professionalism from the lower and learning ranks to the what is often referred to as the backbone of the USCG, the Chiefs, and of course the upper leadership found with the officers. Over the years Vision-Strike-Wear.Com has been tasked by the USCG to produce iconic and stylistic looks for the ranks which are worn on a variety of apparel items. Each of the ranks created by VSW used the ranks and found within each chevron was an image pertaining to a mission or role, cutter or other important piece of equipment recognized within the USCG. Created with the same level of detail and professionalism expected from the USCG. Custom USCG Designs For United States Coast Guard Shirts! USCG MSST boat protects Queen Mary from threat!